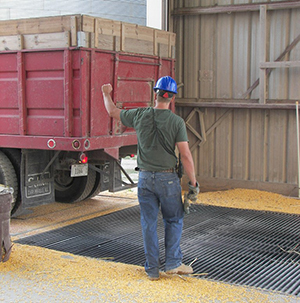 Worker fatigue is a major concern during harvest. Managers, supervisors, and operations workers should learn to recognize the symptoms of worker fatigue in themselves and their coworkers. Symptoms of worker fatigue may include forgetfulness, reduced vigilance, poor communication, poor decision-making, slower reaction times, and irritability. It is important that workers have enough time away from the facility to rest and sleep. The amount of sleep that a worker gets has a direct correlation to the potential for injuries. Incident rates for workers receiving less than five hours of sleep per night are nearly triple to those who receive eight hours of sleep per night. While it is difficult to control how much sleep a worker gets outside of work, there are things that can be done throughout the day. Scheduling resources to allow for ample breaks throughout the day. Communicate the symptoms of fatigue to all workers, so that they can recognize when they need a break. Ensure that workers stay hydrated and eat properly throughout the day. Ensure that workers are dressing appropriately for the weather conditions. Take time to discuss safety and address hazard in the work area. Ensure that there is an adequate supply of safety equipment including personal protective equipment (PPE).